Great lake house contemporary in style large enough for entertaining with 5 bedrooms 3.5 baths large windows facing the water with an awesome view of Brushy Creek. Large back deck on main level and a large deck at terrace level as well. Granite, hardwood and tile soaring ceiling in great room with tray ceilings in bedroom. Has hot tub for relaxing at end of the day. Large top mount boat house with covered deck on top on deep water. Located on Rock Creek this is a true lake cabin with a rustic feel that everyone is looking will enjoy. This 3 bedroom 2.5 bathroom home is being sold FULLY FURNISHED with exception of a few sentimental things. This lake home is the owner's pride and joy and it shows in all the detail work. From the custom cedar cabinets to the tongue and groove ceilings this Smith Lake cabin is a must see. It comes with a one slip dock and swim deck. The dock is sitting in year round very deep water. The views from this lake home is amazing all you have to do You only have to look out any of the many lake side windows to see beautiful Rock Creek below. 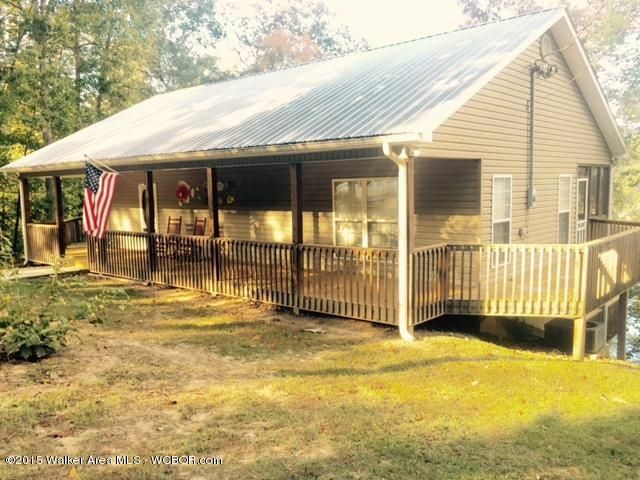 One of the many appealing things about this Smith Lake home is it's just 5 minutes from the town of Arley. Don't wait too long this one is priced at just $329,000 and will not stay on the market much longer! Smith Lake Dream Lake House! This is a extraordinary lake home! The home sits only 10-15 easy steps from the boat house walk way that sits in deep year round water. You will have huge main body views that will take your breath away. The house its self is 4000 sqr. feet all on one level with windows all across the back side of the house to capture that amazing view. This home is the owners pride and if you happen to be the new owner it will for sure be yours as well! call today.